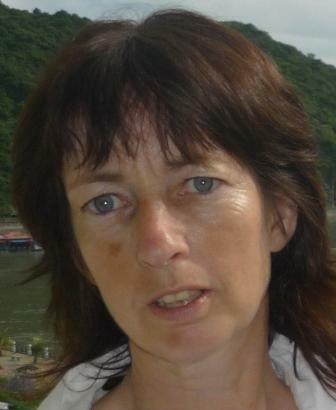 Next Post 2013, a year on the global learning commons. 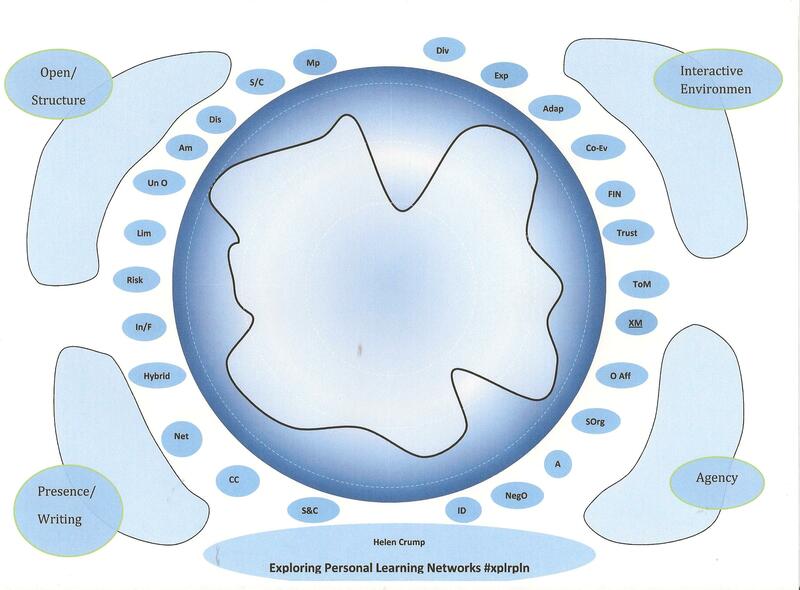 Hi Helen – it’s great to see this footprint – and it certainly depicts the Exploring Personal Learning Networks Online Seminar online seminar as being a challenging learning experience. – and what it was about the course that stopped it from being a completely chaotic experience – you just stop short of the edge of chaos zone. Of course, for many people challenging is ‘good’, so I would also want to ask you whether this is the case for you, or whether you would have preferred some of the factors to be more in the prescriptive zone. If you need any help with uploading your footprint to the wiki – just give me a shout! Thanks for your reply, Jenny, and for your questions about my commentary to this footprint. Firstly, yes, challenging is definitely ‘good’ for me. In fact, I’d probably go so far as to say that ‘chaos’ isn’t the end of the world for me either. You can often salvage something from chaos; in fact, chaos might just be extreme complexity, mightn’t it? I did OLDSMOOC at the start of the year where I managed to figure out how to navigate all the platforms and the complexities that were inadvertently (??) designed into its initial stages. Many others could not cope with the chaos/complexity and as such were unable to successfully access the course. There’s a footprint for OLDSMOOC in your wiki; it shoots out into chaos in all directions. Any way, back to my footprint for Exploring Personal Learning Networks, the learning experience was very powerful because at heart it posed a seemingly innocuous question, or ‘problem’, that could transcend a number of organizations/contexts. However, what transpired was a genuine realization amongst the participants that what we were actually discussing was an emerging phenomena and a very complex one at that, one that was essentially about the changing power dynamics between the individual and the organization. This was the unsettling /extremely emergent aspect of the seminar and as such it is represented by the most extended points of ‘unpredictable outcomes’ and ‘ambiguity’ in the open /structure quadrant. The prescribed aspect of the footprint, ‘diversity’, in the interactive environment section is down to the fact that there was a small number of set texts. 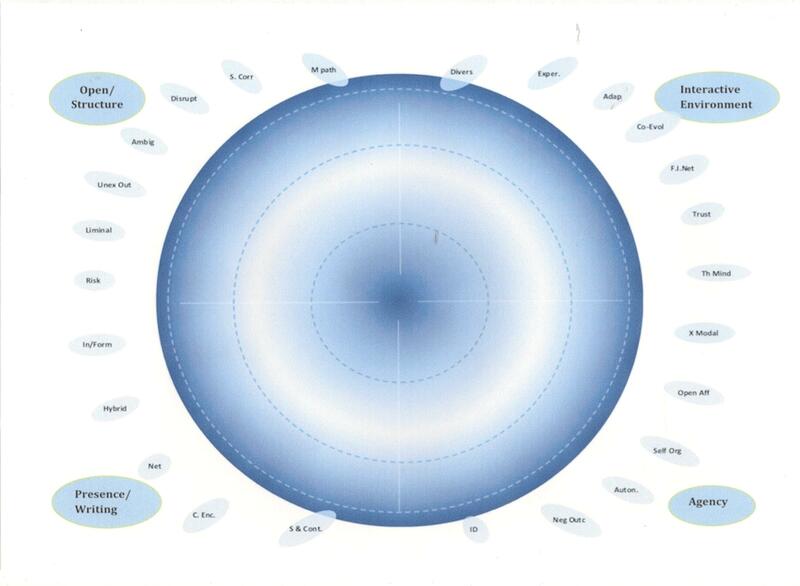 ‘Autonomy’, in the agency section, appears in the ‘sweet spot’ of emergent learning. This is because the problem largely set the agenda but learners were free to manage their own learning/participation. It was an effective combination. Thanks for uploading my footprint to your wiki. Finally had a chance to read this – it’s as fascinating as I thought it might be, and look forward to exploring this concept further (and maybe even having a go at doing my own ‘footprint’ of the xplrpln!) Also, thought you described very accurately the xplrpln experience – or rather perhaps, your experience of it aligned closely to mine : ). Thanks for posting this including the detail and links, really interesting stuff! This is really an interesting way of both exploring and documenting the learning spectrum from not-particularly-emergent to primarily-emergent. I can see that the process of thinking through the various aspects is where the greatest strength lies. I am going to use this to examine two of my grad courses and one of the courses that I am in the process of designing. I feel a bit like the guy coming rudely late to an exceptional dinner party. My apologies, again, for not commenting sooner. First – many, many thanks for this. To say that #xplrpln was a learning experience for Kimberly Scott as me, as designers/facilitators, would be understating it. It continues to transform my thinking as an instructor and course designer. Much of it had to do with the fact that we had so many participants like you, Tanya and Maureen, who worked both as learners and as learning-geek observers (i.e., always going meta, interested in the pedagogy and the how and why of the course). A few thoughts about your footprint. As I read through your comments in the mapping sheet, I honestly did not read anything that was either out of sync with our design intentions or with how we actually experienced the course. I probably would have answered each of the questions the same. What I found fascinating was your reflection on the question/problem. One of my take-aways is around the design power of that question – it surprised us a bit. Let me explain. We come at our graduate program curriculum with problem-based learning as a key aspect of how we create the learning experience (we are also very community/collaboration oriented as well). We know that there is an art to finding the right problem, defining it well (for the learning experience) and/or putting it into what seems like – as you note – an innocuous question. It works in our environment when students must do something (for a grade and credit) to answer the question. But how would this play out in an open course, where only individual motivation keeps people engaged? Note that the problem question wasn’t the only tool in our toolbox addressing this challenge of motivation and ultimately getting something valuable from the event – we also experimented with the goal-setting activities. Yet for me – the impact of the problem question came out as one of the bigger surprises. Your comments make explicit what Kimberly and I talked about post-seminar. What we thought we were witnessing regarding the problem/question. There is a related design challenge that has to do with the amount of content we shared. We know from experience that when you ask a problem-based question like we did, learners have a powerful habit of looking at the question and thinking “what are the instructors getting at here? what do they want us to see?” as if we had some pre-determined set of answers in mind. This plays out very clearly in our graduate classes – students just drop right into that teacher-student-grade dynamic. Arrrgh! So in our classes, we often have to work hard to break that habit. So this was on our minds when we were working through the design of #xplrpln and the question. We knew that focusing on a “CEO” might throw some people off because of their own work context (coming from education vs. corporate environments etc.). So we tried to mitigate that without losing the clear problem-setting image of having to speak to a performance-oriented leadership persona. The other thing we were conscious of was content – and this might get at the diversity issue. I know that I can sometimes unintentionally “lead” students to think they have figured out what I want from them by prescribing too much content. So when we designed #xplpln, this issue of “which content” and “how much” was a consistent discussion – even as we were facilitating the course. We reconsidered it each week. We wanted to find a spot where we gave enough for learners to get some foothold and start their own exploration, but not enough where they spent all of their time reading the material trying to figure out what Kimberly and I “want.” What we wanted was critical thinking. We had no answers in mind. But in the end, the (good) tension created by the question was key to the whole experience. It was what was on everyone’s mind throughout the course. We heard that loud and clear. Many thanks again for this. It’s truly fascinating. So pleased you posted your insights Jeff! Not only did I find the whole experience fascinating (best learning experience of the year!) but have been so interested to read about it from your perspective as course designers. Designing connectivist / constructivist open online learning experiences definitely requires an element of ‘letting go’ of expectations and control – both from a learner / participants’ AND a designer / ‘teacher’s’ POV. What I’m fascinated by is how much of it is or CAN be pre-designed, and how much is just dependent on the participants you attract, their personalities, learning preferences, level of engagement & enthusiasm – and level of comfort with chaos, exploration and learning with others. It certainly seems like a very fine balance. I think your point of iteratively evaluating and tweaking progressively week to week is a key insight into the ‘design’ approach – so interesting to hear your (and Kimberley’s) thinking behind the content decisions – “what” and “how much”. Yes, I agree with Tanya. Thanks for sharing your thinking process Jeff. I think the dynamic, iterative process is part of the ‘magic’ that makes the whole experience come alive but it means huge vulnerability and risk on the part of the facilitators. It means operating as artists who both show a part of their own interior with every creation and are open to public criticism. In fact I really think that this form of learning has a great deal in common with art making (be it music, dramatic, visual or literary). Any way, thanks a million, Jeff, for your comprehensive reply. I find it interesting that you focus on setting the question in problem-based learning; I’ve no experience of this and haven’t thought much about it, but your insights are very interesting. 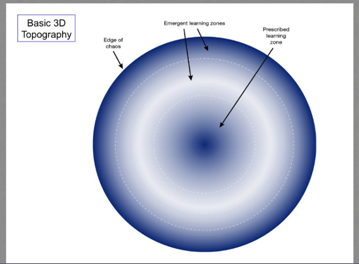 I hadn’t thought much about emergent learning either, not until I engaged in this activity, but now I can see emergence in a whole pile of places (not just #xplrpln) … emergent learning practices and emergent learning/new knowledge. I suppose it stands to reason, if life really is in “perpetual beta” now.